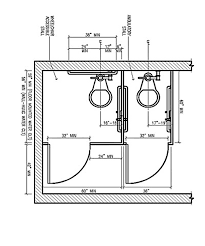 The key to knowing the requirements that the IBC code mentions, is the ANSI a117.1 Standard. 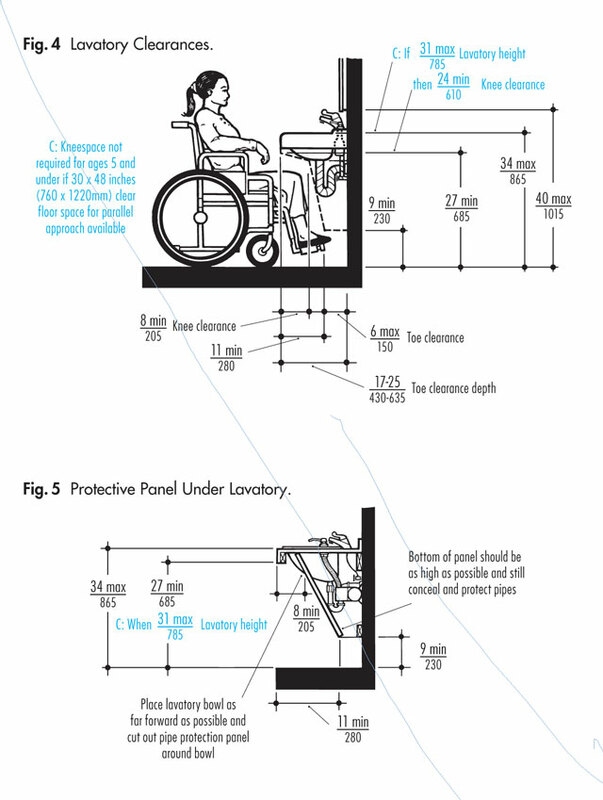 Universal design, Barrier Free Design, and Accessible Design are all according to the ANSI Standard a117.1 Even the DOJ’s Americans with Disability Act refers to the ANSI A117.1 Standard. 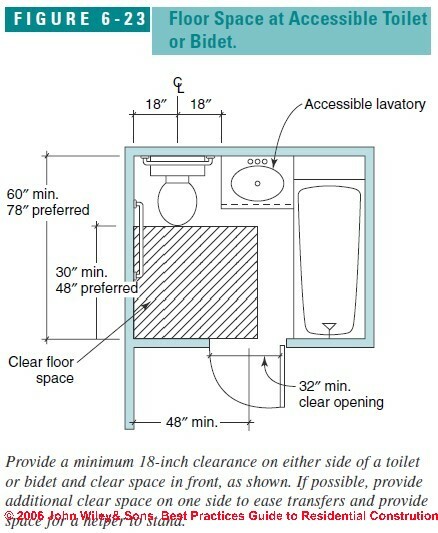 Universal design (often inclusive design) refers to broad-spectrum ideas meant to produce buildings, products and environments that are inherently accessible to older people, people without disabilities, and people with disabilities. 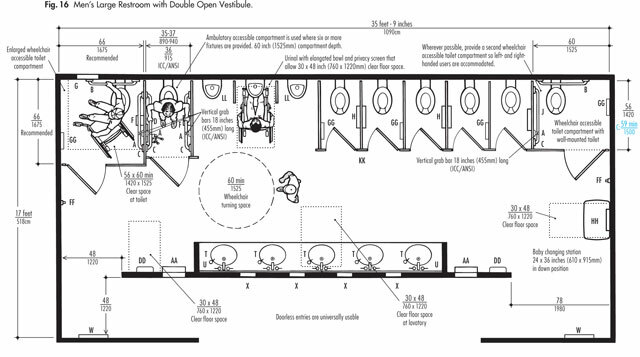 This restroom has a roll-in shower. 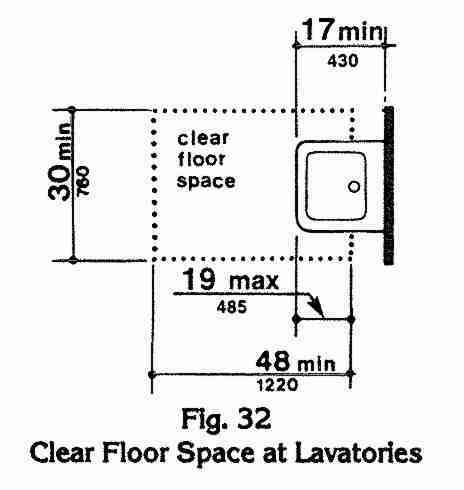 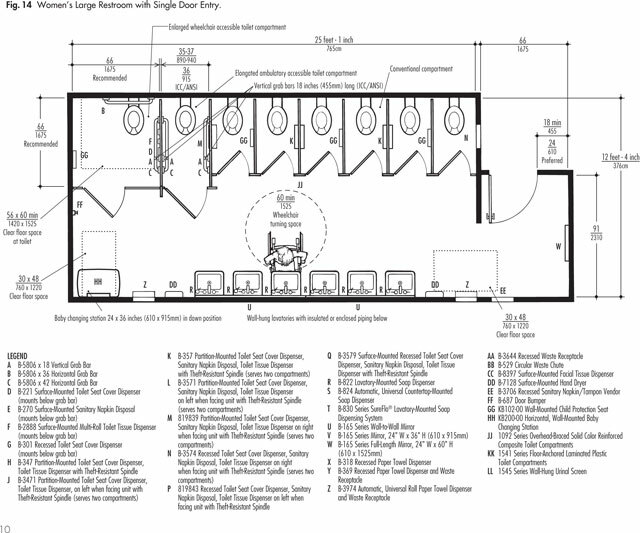 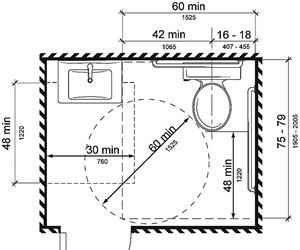 Notice the clear floor areas for each fixture, the lav, the toilet, and the shower, all have clear floor areas. 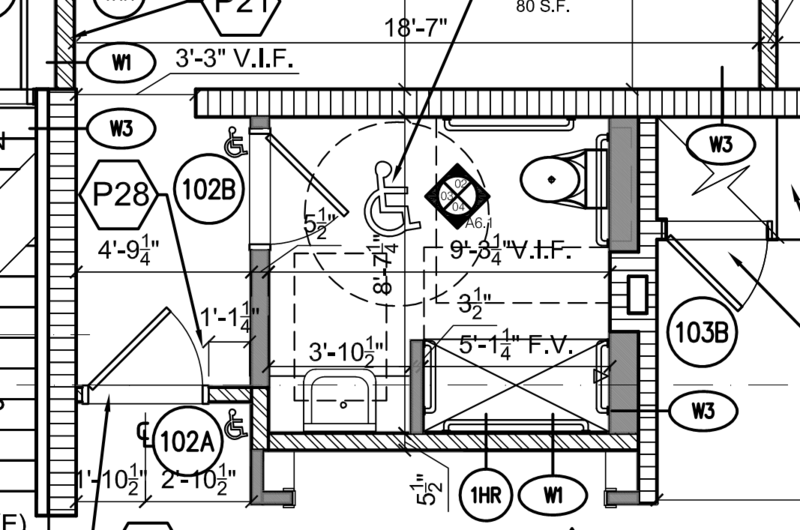 “The Americans with Disabilities Act (ADA) set the minimum requirements – both scoping and technical – for newly designed and constructed or altered state and local government facilities, public accommodations, and commercial facilities to be readily accessible to and usable by individuals with disabilities. 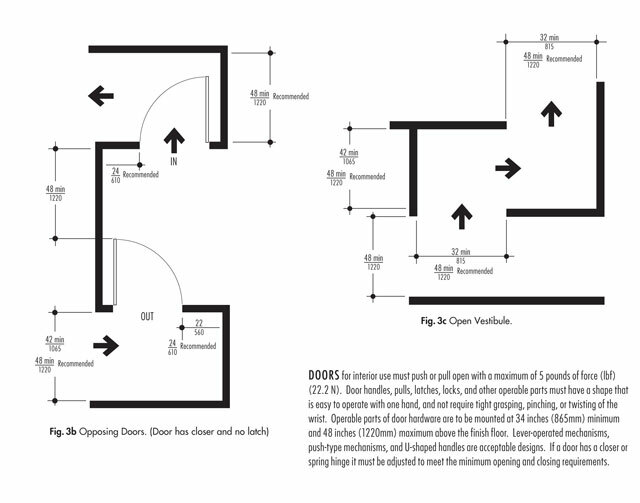 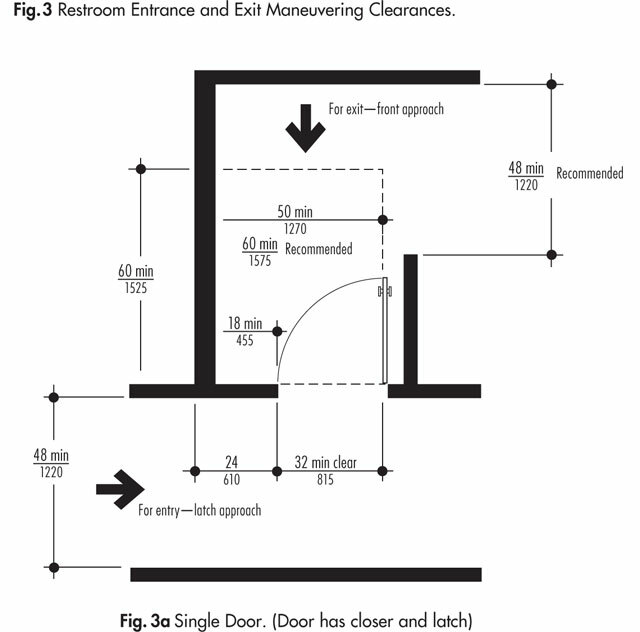 This means in restroom design some of each type of fixture or feature – as well as the installation location – must meet accessibility requirements contained in the 2010 ADA Standards for Accessible Design. 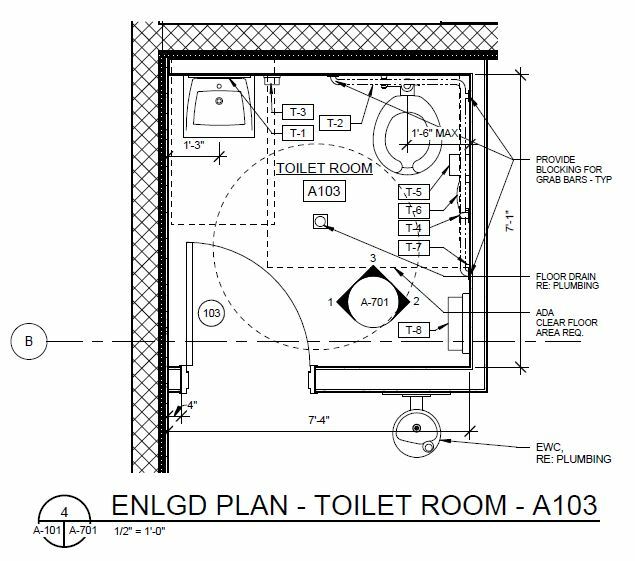 In addition, projects must also follow the provisions of the 2009 revision of ICC A117.1, Accessible and Usable Buildings and Facilities (produced by the American National Standards Institute or ANSI). 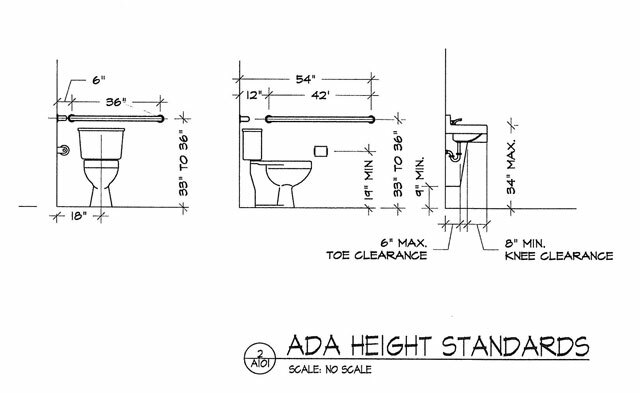 Thanks for the ADA questions…just what I needed!!! 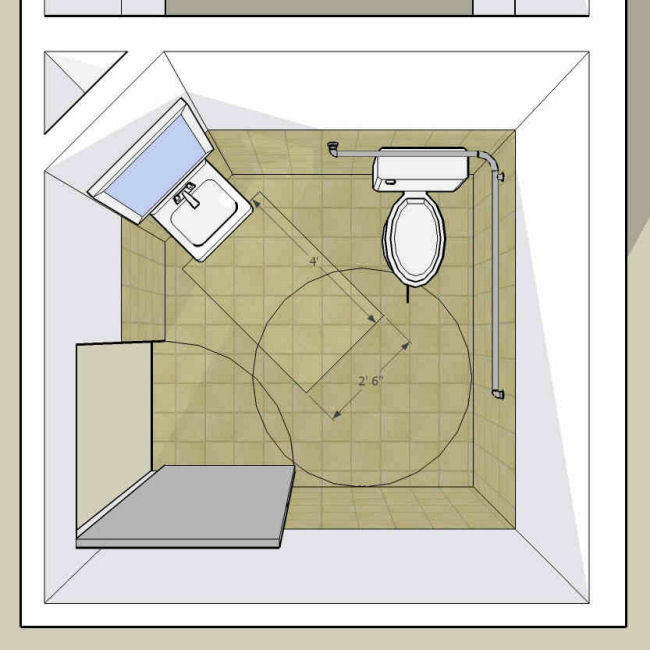 Also, the mock exam really help for the specific areas of concentration.